3M ESPE Filtek Bulk Fill Flowable Restorative is a flowable restorative material with a 4 mm depth of cure, reducing the need to incrementally layer restorative material. This composite is designed for low shrinkage and low polymerization stress, while the flowable viscosity is designed to provide good adaptation. When used for Class I and Class II restorations, Filtek Bulk Fill can be used as a base layer and should be covered with 2 mm of composite strong enough handle the occlusal load. 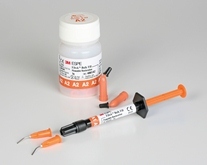 Filtek Bulk Fill can also be used for pit and fissure sealants, Class III and V restorations, core build-ups where at least half the coronal tooth structure is remaining, restoration of minimally invasive cavity preparations, blockout of undercuts, and repair of resin and acrylic temporary materials. Filtek Bulk Fill is packaged in 2 g syringes and 0.2 g unit-dose capsules and is available in shades U (Universal), A1, A2 and A3. Curing time is at least 20 seconds for shade U and 40 seconds for shades A1, A2 and A3. 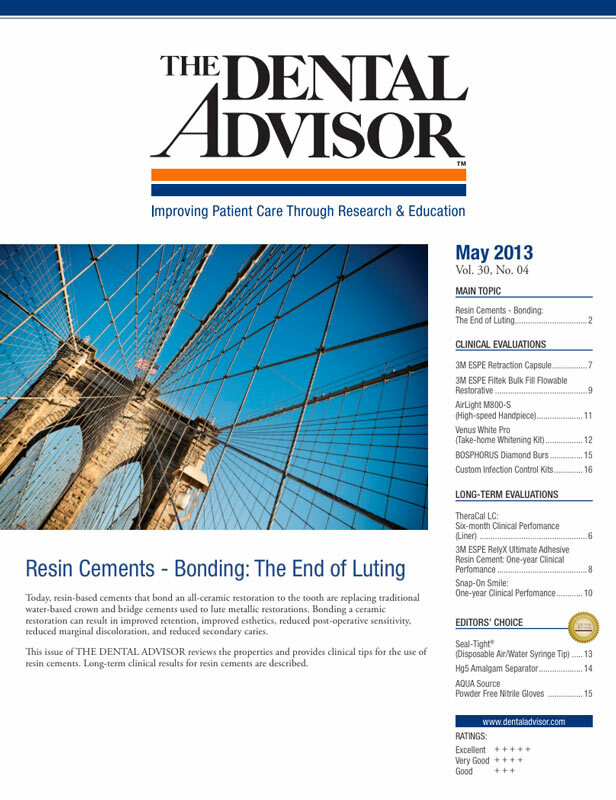 Filtek Bulk Fill was evaluated by 20 consultants who placed 877 restorations. This bulk-fill composite received a 91% clinical rating. Filtek Bulk Fill gives the clinician two delivery options – syringes and capsules. Both are well marked and are easy to identify by their orange coloring. The ability to use this composite for indications common to flowable composites and as a bulk-fill base layer make it a versatile product to keep in the office. The shades are translucent, which allows a greater depth of cure. Minimizing the number of layers to complete a restoration was reported to be a real time saver for many consultants. Filtek Bulk Fill has a viscosity that stacks well and does not slump or run. In some cases an instrument is needed to adapt this flowable material to the cavity walls. Some consultants noted that the material contained bubbles upon extrusion from the syringe or capsule. Thirty-five percent of consultants rated Filtek Bulk Fill better than other bulk-fill composites they were using and 30% rated it to be equivalent. Fifty percent would switch to Filtek Bulk Fill and 75% would recommend it to a colleague. Filtek Bulk Fill can be used with any self-etch or total-etch bonding system. Make sure to adjust curing time depending on light source and shade of the material used.